Digital inclinometers, also referred to as clinometers, are the quickest and easiest way is ascertaining absolute and relative angle measurements today (Source). As compared to traditional protractors and other manual angle measuring tools, digital inclinometers are able to offer accurate measurements consistently. Additionally, modern angle finders feature a compact and lightweight design. This makes them easier to transport and store. Most of the leading models available today incorporate a magnate in their construction. The magnet allows for a secure attachment of the tool to various surfaces, such as saw benches. Once attached, you can then use the zero-setting buttons to re-calibrate your angle finder in reference to the attached surface. While the basic functionalities of these units are similar, choosing the right one can be a daunting task. Are you looking for the best heavy duty digital angle finder? 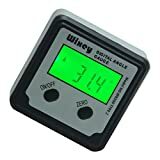 Very few gadgets are as good as the Wixey WR 300 Type 2 Digital Angle Gauge today. This product was specifically designed for accurate, heavy-duty angle measuring applications. Not only does the model have a durable and tough construction, it is equipped with an assortment of features you would need. To begin with, the product is equipped with a durable metallic body. This makes the unit resistant to damage, especially by impact. This being the case, you will find the WR300 Type 2 one of the most durable inclinometers in the market. Ease of use is another aspect many users love about this gadget today. In this regard, it features a strong in-built magnet at its base for attachment to metallic surfaces. By securely attaching the gadget to your saw blades, the magnet ensures that you have a hands-free measuring experience. You will also love the comparatively large display on this product. Situated on the front end of the unit, the large unit is easily readable, even from a distance. The compact design of this inclinometer allows for an easy 90-degree setup. The relatively high range of accuracy offered by the product is another reason users across the glove prefer it. 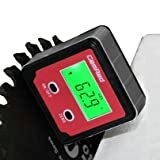 Unlike the WR300 inclinometer reviewed above, the AccuRemote Digital Angle Gauge level features a plastic construction. However, it is still a great product by a renowned manufacturer. So, why do users still find this model a favourite today? Though made of plastic, the plastic casing is thick enough to resist damage by impact. As such, you should not expect it to get damaged by mild accidental drops. The LCD display used on the unit is another reason why so many people love it today. The Display on this gadget is not only large; it is also bright and clear enough for you to get your readings even during the day. Although the display on the inclinometer is rather outdated, it is still more visible than most OLED displays being used on angle finders today. You will also love the battery life offered by this unit. The angle finder is equipped with a 9V battery that can last for more than 250 hours. Versatility is one of the things that lacks in most digital inclinometers today. Well, this is not the case for the Bosch DAF220 Miter Finder. As a matter of fact, the unit serves as 4 different tools in one. This versatility makes the unit one of the best today, with regards to value for money. So, what can the DAF220 do? Basically, the unit is designed to function as four different tools, a cut calculator, level, angle finder and a protractor. With this product, you do not have to but the other 3 tools separately. This is why the value offered by this tool is still one of the best today. Additionally, you will also find an array of impressive convenience features in this product. For instance, the new Miter inclinometer features angle memory. This feature will come in handy when using the gadget for repeated measurements. You will also love the log extension and digital readout features offered by the unit. Such unit make the DAF220 Miter a favourite measuring tool for remodelers, carpenters and contractors. With this angle finder, you will be able to measure angles between 0 and 220 degrees at accuracy of 0.1 degrees. The unit comes with a 16-inch extension leg that has a range of about 6-3/4 inches. This makes it easier to measure angles in more confined areas, such as sloped windows and ventilation shafts. 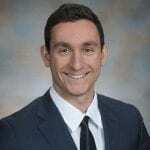 Are you working on a limited budget? Then you should opt for a simple, yet accurate inclinometer that is easy to use. The General Tools 822 Digital Angle Finder Rule is one of the best products, in this regard. Though priced below $20, this unit has all the features you need for accurate measurement of angles. To begin with, the inclinometer features a rugged and durable design. This may be attributed to its analogue metric and standard rulers. However, these are merged with an easy to read digital technology for enhanced accuracy and readability. This being the case, you will have an easy time measuring outside, inside as well as reverse angles using this tool. You may use the hold button on this unit to save measurements digitally. Alternatively, you may use the ergonomic locking know to save angle measurements manually. Reading the measurements on this product is not going to be a problem either. This may be attributed to its relatively large LCD display. What if you had an inclinometer that is both lightweight and features a durable construction? If you are looking for such a tool, the solution lies with the GemRed 82412 Backlight Digital Level Box. The unit features a compact design and is relatively lightweight. As such, you will find it very easy to carry around or move from one point to another. You will also find this model comparatively easy to use. To begin with, the product features a concealed magnet at the bottom. This allows you to attach the unit to metal surfaces for hands-free measurements. Additionally, it is equipped with a relatively large LCD display. The display features a green backlight, which makes it easier to read in the dark. As opposed to olden days, you do not have to use a bubble level to ascertain the angles on various surfaces. Owing to technological advancements, modern digital inclinometers are some of the best tools for this task. These instruments are designed to eliminate guesswork while measuring angles. Unfortunately, not all the angle finders available today are so accurate or easy to use. Again, not all the digital angle finders in the market are suited for all applications. This being the case, choosing the right digital inclinometer can be daunting task. In order to choose the right angle finder, there are several aspects that you need to consider. Discussed below are the key considerations you should make while shopping for the best digital inclinometer. Whether you are a wood worker, an engineer or just a floor installer, you need accurate tools in order to do the job correctly. This is not an exception when it comes to digital inclinometers. While shopping for these tools, the accuracy should be a key consideration. While most digital angle finders are known to be very accurate, not all the available units are good at it. For enhanced accuracy, you should go for the models that use reliable electronic-based angle measuring system. In this regard, the inclinometers that can provide angle readings in tenths of a degree are some of the best. In some applications, you will need a tool that can measure relatively small angles accurately. Regardless of the application, it is advisable to go for a tool that offers a bigger measuring range. Most of the digital angle finders available today have a measuring range of between 0 and 220 degrees. However, you can still get tools that can measure angles greater than 220 degrees accurately. A greater measuring range makes these tools more versatile in application. 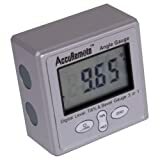 One of the things that set modern angle finders from the traditional tools is the display. The display on your inclinometer will determine its ease of use. This being the case, it is advisable to opt for the inclinometer with a display that is relatively easy to read and interpret. In this regard, you will find the larger displays easier to read. In addition to a larger screen size, it is advisable to go for the back-lit displays. However, this feature can have a negative effect on the battery life of the gadget. If the display on your preferred inclinometer is backlit, you need to ensure that the tool has an auto-off feature as well. This goes a long way in extending battery life. 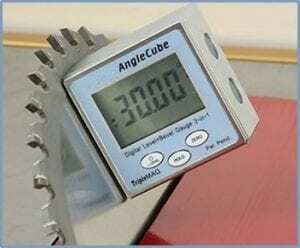 With regards to design, digital angle finders may be grouped into two broad categories; protractors and cube angle finders (commonly referred to as digital angle blocks). The two inclinometer designs are known to offer consistent accurate readings and are relatively easy to use. The main difference between these two types of inclinometer is the build quality. In this regard, the leading digital protractor models are known to be made of durable and tough materials as compared to the angle blocks. The Wixey WR300, for example, features a durable metal construction and is lined with composites for reinforcement. 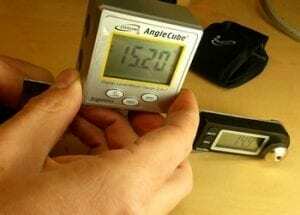 This being the case, the best digital protractors are more durable than digital angle blocks. Digital inclinometers are some of the most versatile tools today, with regards to application. Although all the angle finders are meant to measure angles, not all angle measuring conditions are the same. This being the case, some digital inclinometer models will be suited for certain applications than others. As you have learnt in this guide, the right angle finder should be of the right design, have an easy-to-read display, offer the right measurement range and be accurate enough. Regardless of the intended application, this guide will help you buy the best digital inclinometer.